Before we get into how window films and window treatments complement each other, it's first worthwhile to revisit the purposes of each. Some window films are designed to protect facilities from data theft via IR or RF signals. Some are also designed to safeguard facility interiors from the sun's UV rays, while others are intended to offer blast protection. Other films may be utilized for decorative and privacy purposes. Conversely, window treatments are designed more for comfortability and privacy. 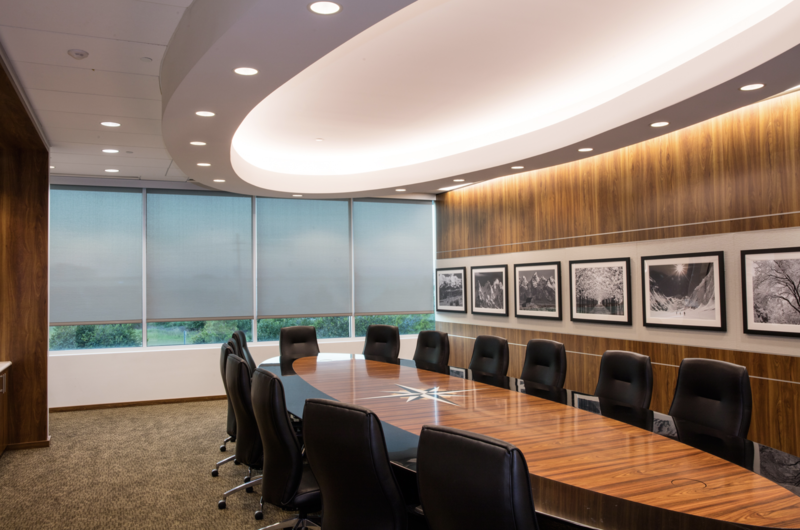 Some of the most popular types of treatments include window blinds and shades, which work to help reduce glare, control the amount of natural daylight entering a facility and enhance privacy. Enhanced security/privacy: Window films can help with privacy and security, but the fact is that if a nosey onlooker wants to see through a window with just a film installed on it, they'll likely be able to do so - at least partially. Blinds can help add an extra layer of security outside of regular office hours, essentially eliminating any outside onlooker, whether their intentions are out of curiosity or if they have other motives. When it comes to securing certain types of buildings and spaces, you can never have too many security measures in place - no matter how minor or major they may be. Ambiance: Daylight has proven benefits, as research shows it helps people work healthier, happier and calmer. Noting this, it's good to let the daylight in when the sun's out. However, the sun's UV rays aren't always beneficial, as they can fade furniture and add heat to an environment. With blinds or shades, you can let the sun in. And with UV blocking window films, you won't have to worry about its effects. Decor: Blinds or shades help add to the overall look of the room, and can give it a comforting and inviting vibe. Window films can be decorative as well and help add to this vibe. However, the likes of IR, RF and impact-resistant films allow for enhanced security without compromising overall room decor. What's more is that window films are clear and invisible to the naked eye, offering this enhanced security in a subtle way to boot. As you can see, it can pay to invest in both window treatments and window films in your facility because both types of products can complement each other very well. Together, they can serve as an ideal one-two punch in creating ambiance, security and comfortability.